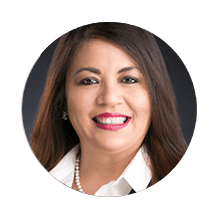 Mae Regalado is a seasoned healthcare executive consultant with diverse management roles in highly competitive and complex environments. She leads client engagements and maintains a proven track record of transforming advanced IT to business capabilities and day-to-day operations. Mae brings clients more than 20 years of senior management and consulting expertise in complete operations services across all product lines including Medicare, Medicaid, the Health Insurance Exchange (HIX) and the Affordable Care Act (ACA), representing health plans, integrated delivery systems, large multi-specialty provider groups, and management services organizations. Her multi-faceted expertise results in the ability to reach across functional lines to drive organizational improvement and change. Mae has provided implementation leadership for multi-million dollar system deployment projects for health plans including multi-state and multi-partner integration. She maintains a successful record of supporting clients and employers renowned in the healthcare industry and contributes to corporate objectives through innovative programs to maximize operational efficiencies in balance with quality outcomes.